I found this technically-challenging, artistically-rewarding hobby later in life. It is ironic that I earned a Ph.D. in spectroscopy from Caltech in what was called at the time the Earth and Planetary Sciences Department. My focus was on the near-infrared spectroscopy of minerals and not astronomy. As a research assistant, I analyzed the mineralogy of lunar rocks returned from Apollo 17 with an electron microprobe in the wee hours of the morning. I had the honor of having lunch with Dr. Harrison (Jack) Schmidt, the astronaut who returned our samples from the moon back to Earth, and who later became a Senator from New Mexico. I even took the required field geology graduate course from Dr. Gene Shoemaker, who, many years later, discovered the comet with David Levy, named Shoemaker-Levy, that struck Jupiter. I started inventing technology (I now have 14 patents) while at a government lab job and became interested in how to build a company within a research organization to manufacture and sell the invention. I needed more business experience and as such, earned an M.B.A. from the University of Washington in the 80’s that would serve me well later. With several industrial research and management jobs in private industry and government labs that followed, I was too busy with work and raising a family to turn my interest to the stars until about 2000 in Sacramento, CA. �Prior to that, I started my own corporation in Sacramento, Optical Solutions, in 1993 based upon a previous invention. �We designed, built and sold fiber optic chemical analyzers for on-line process control in the chemical and petrochemical industries. �We used light to measure chemistry of liquids in real time. The instruments used narrowband filters, primarily in the near-infrared, so I began to understand about filter technology, albeit for chemical analysis. In 2001, I bought a small telescope with no motorized mount and found out what one could really see in mag 4.5 suburban skies – very little. I attended a talk at our local astronomy club by someone who used a small Schmidt-Cassegrain telescope, mount and an SBIG ST-7 CCD camera to help cut through the light pollution and actually produce an image of a galaxy from his suburban backyard. I immediately understood this was the direction that I wanted to go. I purchased an 8″ Meade LX90 with a GoTo mount, SBIG ST-7 and started to learn telescope and camera operations and image processing. Not one to wait, I flew down to Sunglow Ranch in southern Arizona to train with Ron Wodaski. Peter Ceravolo and Doug George were staying there to add to their Desktop Universe. The Yorks from Anacortes were there with an AP160 scope and two very ominous-looking, huge birds. My Meade telescope looked like a toy compared to the larger scopes there. Ron was a good teacher, and I came home with a color image of M1. Things progressed with larger cameras and telescopes. I began to realize the limitations of taking color images in my light polluted skies, after seeing what it is like to image in our astronomy club’s dark site at Blue Canyon near Donner Pass at 5000′ and mag 6.5 skies. However, lugging all that equipment up for one night was quite a chore and became infrequent. I became less tolerant of being cold and uncomfortable and staying up much of the night to capture images. I joined the various Yahoo technical groups to see how other people imaged, and rapidly started to develop new friendships. �I began to notice significant color variations among many well-known images of M27, the Dumbbell Planetary Nebula, in early 2002. That led me to do research where I began to understand that astrophotography is different than terrestrial photography due to the presence of emission lines from the ionization of hydrogen, oxygen and other elements. Oxygen was particularly troublesome because its emissions are located between blue and green filters used in astrophotography, and is therefore picked up by both. �Once the weight factors for proper white-point balance of broadband star colors were fixed when combining the data taken through red, green and blue filters, the balance of OIII emission light was also fixed. �The correct color for OIII is a teal, or blue-green. �However, if the filters were not designed correctly or if they were designed for one type of camera (full-frame front illuminated), but used on another one with different spectral characteristics (e.g. Interline), �the OIII could could become very green or very blue. This was known, but the filters of the time were not “balanced” for both broadband star colors and OIII teal. � Furthermore, the narrowband filters at the time were thicker than the RGB, which required refocusing. � So, I designed “Tru-Balance” filters and started a hobby company called Astrodon, which I ran from my home in the evening and weekends, still having a corporation to run in the daytime. I made all the filters the same thickness and developed the marketing tag line “Simplify Your CCD Imaging”, which I still use. This meant that one could use the same exposure time for the red, green and blue filters, and one dark exposure time. �That is a significant simplification of the data acquisition process. �As a result, we achieve about the same signal-to-noise among these filters, and as a bonus, we produce the correct teal color for the OIII emission. As with most entrepreneurial start-ups, I followed the time-tested advice, “don’t quit your day job”. �I was balancing the demands of running a corporation during the day and growing the Astrodon business in the evening. �Par for the course for an entrepreneur. I presented my first invited talk on color balance in astrophotography at AstroImage 2002 near San Diego, followed by two more invited talks at Imaging the Sky in Oregon. I became friends with Ken Crawford and Steve Mandel due to our common interests in astrophotography, and together, with Steve’s vision, formed the first Advanced Imaging Conference (AIC) in 2004 in San Jose. It was meant to involve perhaps 20 or so avid imagers sitting around a dinner table talking about astrophotography, but quickly grew to over 100 people. It was held at the Doubletree Hotel in San Jose, CA. It is now the premiere astrophotography show in North America hosting nearly 300 attendees and dozens of vendors. I stayed on the board of directors for the following 3 years until they formed a non-profit organization. As a vendor, I had to resign from the board. That has always been a dilemma for me. I am one of the few avid imagers who is also a vendor. When I post an image on the various internet hobby groups, I post it as a fellow imager and hobbyist. But, I’m often viewed as a vendor marketing my filters. I often times receive comments, such as “Great image. I use and really like your filters.” I suppose it comes with the territory. Getting very serious, which involves money in astrophotography, I brought home floor models of Software Bisque’s Paramount ME and RC-Optical Systems’ 12.5″ RC telescope at the first AIC in 2004. I did my best over the next few years to get good images from my light-polluted backyard, but eventually went in with two other astrophotographers for a year with a 16″ RC (loaned to us by RCOS) at New Mexico Skies. It was my first experience with remote imaging and pointed the direction toward the future, where you can live anywhere you want, and image in dark skies. It just takes more money, but what doesn’t in astrophotography? That led to a brief stint with another group at Cerro Tololo in Chile and one of my most memorable trips, where we were allowed to visit Gemini South on the neighboring ridge at Cerro Pachon. Then, I was invited to be one of the first into a new remote facility about 1 hour south of Yosemite National Park and 1 hour northeast of Fresno, CA at Sierra-Remote Observatories. I went in with a Canadian friend, Paul Mortfield, and we’ve been there since 2007. It is a wonderful, dark site with excellent seeing. We have a 16″ RCOS RC with an Apogee U16M camera, and a Takahashi FSQ with an SBIG STL11000 atop the 16″. 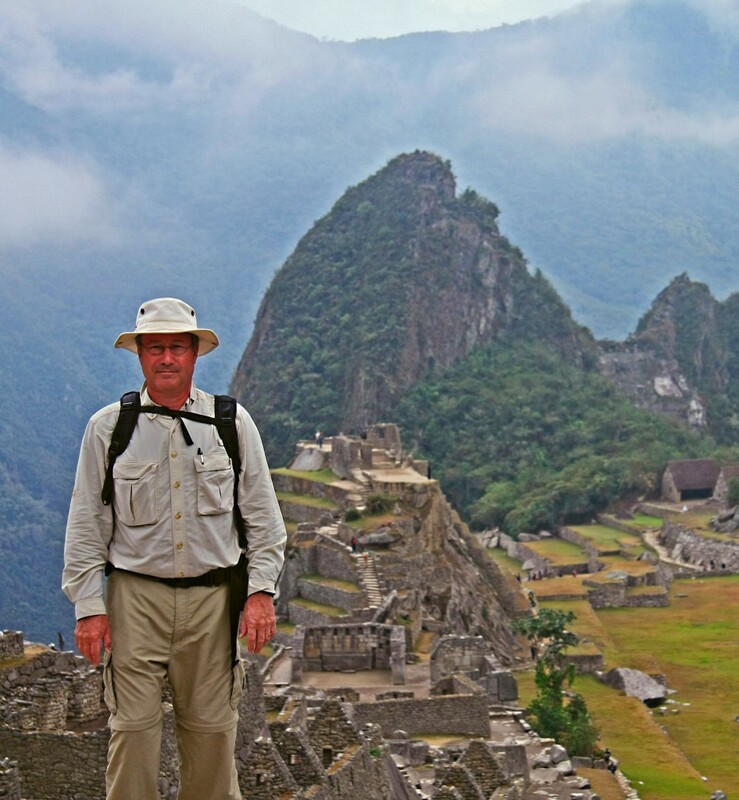 Further, with another partner and great personal friend, Ken Crawford, I went back to the southern hemisphere, this time to southern Australia. We were at two sites in Australia, but the weather turned bad to the point where we had to remove the equipment and bring it back home late in 2010. We were there nearly 3 years with our 14.5″ Classical Cassegrain, AP130 refractor and Apogee U16M CCDs.We were able to grab a few southern gems before we pulled the plug in 2010. In the interim, the Astrodon product line evolved to include a variety of narrowband filters, two types of LRGB “Tru-Balance” filters designed for full-frame or interline CCDs, two types of 100%-coated photometric filters sets, Johnson/Cousins UVBRI and Sloan ugriz and some specialty filters, such as UV filters to image Venus and Jupiter, filters designed for exoplanet research, and filters designed to image solely in the near-infrared. We also designed some hardware products, such as off-axis guiders, that allow you to pick off some light from the main optical beam and guide your telescope system with unfiltered light before the filters. We also came out with a remotely controlled camera rotator. I sold Optical Solutions in 2005 and worked locally for the new owners through 2007, at which time I retired from the corporate world. I now run Astrodon as a day job but have time for other pursuits, such as golf. My wife, Nicolle, retired from her project management job and all that commuting to help run the finances and paperwork in Astrodon. My son, Brian, helps to mount and package filters and filter sets in preparation for shipping. Is True Color in Astrophotography a Myth? Astronomical objects are too weak to activate the cone color sensors in the retinas of our eyes. No one has seen these objects in complete full color, even with the largest of telescopes. 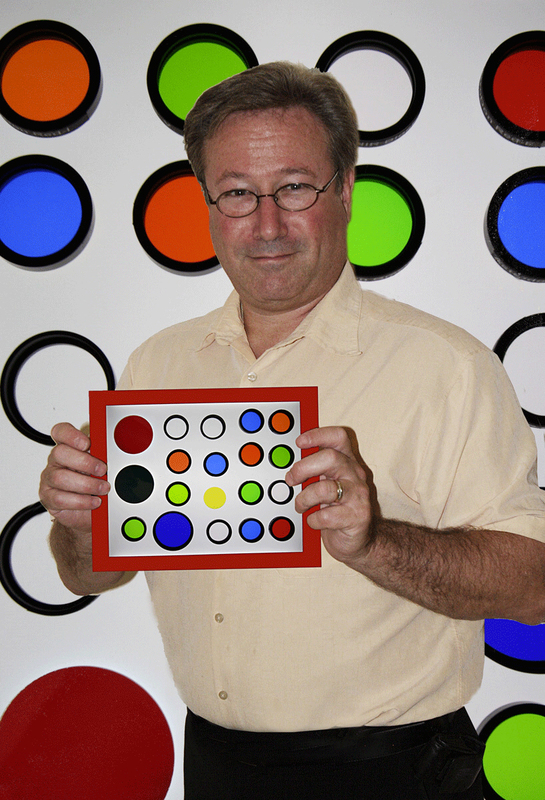 They will see greenish hues, because our weak color vision peaks in the green, but not the vibrant reds or blues. Some say there is no such thing as true color in astrophotography, but I disagree. The ocean is filled with sounds that you cannot hear when you scuba dive, but sensitive hydrophones can pick up those sounds. Butterflies have UV markings on their wings that you cannot see, but perhaps they can. Insects have amazingly complex, compound eyes, but you cannot see the fine structure without a macro lens or microscope. So, all we are doing is amplifying light signals from galaxies and nebula that are really there and following the rules. Our eyes are perhaps 2% efficient and refresh (expose) in fractions of a second. Our CCD cameras are often 80% efficient and can take exposures of 15 – 30 minutes where the weak signal is amplified. There are some rules to obtain true color. Just like the white point setting in your Canon or Nikon DSLR camera, we have a similar white point balance in astrophotography. We just use the known colors of certain stars for that. The color is real and the equipment used in our hobby brings it into the computer in our homes. What is now standard for an average backyard telescope and CCD camera rivals the best astrophotographs taken with large, professional scopes and film twenty years ago. If you do not believe me, compare good, modern images taken with CCD cameras and modest amateur telescopes with professional images taken with photographic plates at the Anglo-Australian telescope by the renowned astrophotographer, David Malin, several decades ago. Technology progresses. For the reasons indicated in the preceding paragraph, one of my greatest joys is the moment when I combine monochrome master frames taken with red, green and blue filters and the first color image appears on the computer screen. Lastly, I want to point out that the minute we locally enhance weak spiral arms in a galaxy or faint nebulosity near an emission nebula, we leave the world of science and enter the world of art. Similarly, when we perform non-linear stretching, such as DDP, to bring out weak features but not saturate bright features, we have again left the world of science and entered the world of art. Our hobby is technically demanding to keep the telescope pointed on a star all night long and to keep the system in focus as the night cools. However, the end result is art. We attempt to frame our object and colorize it in an aesthetically pleasing manner to present the awe and mysteries of the universe. Like famous artists using oil paints and canvas, we all have different styles neither right or wrong, just expressive. Therefore, I firmly believe that what we do in this hobby is “technical art”, as I continue to mention in my invited talks. We are landscape photographers on a cosmic scale. So, back to juggling time between the Astrodon business during the day and imaging at night, I’ve added a new wrinkle….golf, which is a wonderful prescription for frustration and passion. 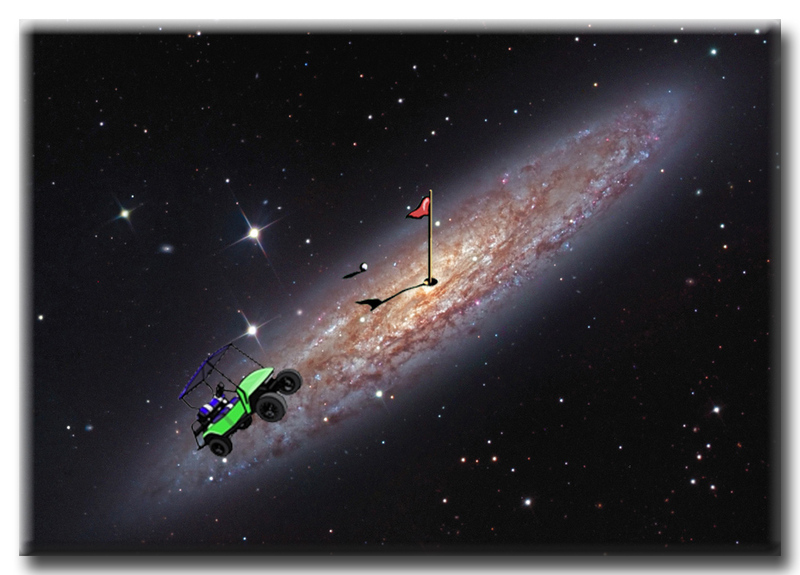 After considerable thought, and using the honed processing skills learned from astrophotography, I’ve come up with an image that is a perfect blend of astronomy and golf. I feel fortunate to have met so many wonderful people and formed so many lasting friendships all over the world during my involvement in astrophotography . You’ve made the world a smaller place for me. I always try to motivate and inspire my audiences in my talks to bring more people into astrophotography so that they may share the joy of exploring the cosmos. I’ve received much help from many people regarding the equipment and image processing for which I am grateful. I want to thank my wife, Nicolle, for being content to wrap herself around a good book while I’m getting the equipment ready for imaging in the evenings. Her acceptance of the crazy hours we keep for this hobby is amazing. Thank you for reading my story, and I hope that you enjoy my photographic exploration of the cosmos.